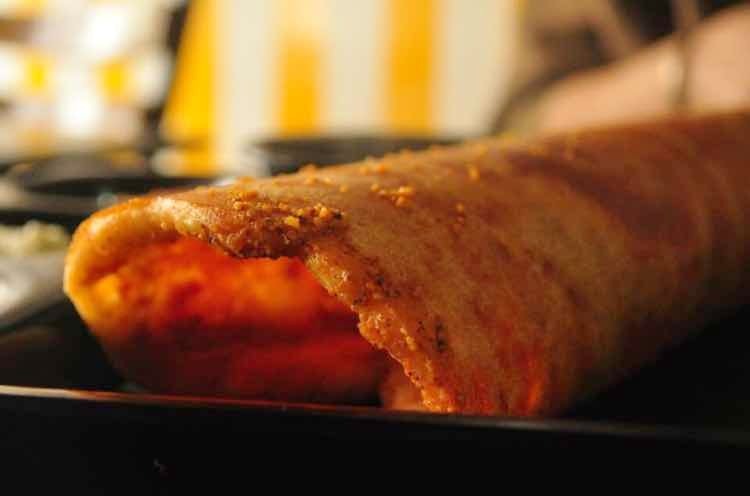 This dosa is cooked to perfection. Crisp on the outside, soft in the inside. The sambhar and coconut chutney taste 'real' and super authentic. No one is in a rush. The staff won't stand on your head to eat and vacate, like most of South Indian places I have been to. Do not complain about the oil that goes to making the most delicious dosa! But if you're trying to be healthy, then you can opt for the 'less oil' option.